// A user can’t purchase the same product again until you have confirmed its. // This applies only to consumable products. The most Calls to the Windows Phone 8 InApp Api calls are async and fire an event after there are finished. function Return an Array from type PurchasableProduct. ProductId Read-only Gets the ID of an app’s in-app offer. Description Read-only Gets the description of the in-app product. FormattedPrice Read-only Gets the app’s purchase price formatted for the current market and currency. ImageUri Read-only Gets the URI of the image associated with this product. Name Read-only Gets the descriptive name of the product or feature. ItemProductType Read-only Gets the type of this in-app product. This can be either ProductType.Consumable or ProductType.Durable. Provides access to the current app’s license metadata. ExpirationDate Read-only Gets the expiration date and time of the license. IsActive Read-only Gets the value that indicates whether the feature’s license is active. In Unity3D Editor you get some test items. You can test in-app purchase in your Windows Phone app by following one of these techniques. 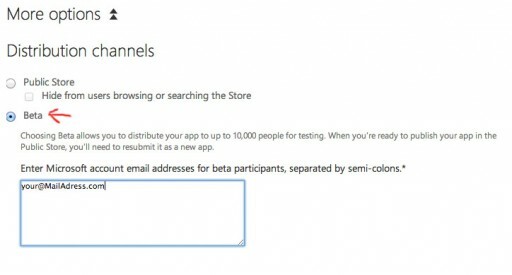 Testing your app’s in-app feature is to create a Dev Center beta app and add beta in-app products. In the Windows Phone Dev Center, you can upload your app to the Windows Phone Store as a beta app. Then, add your beta in-app products to the app. Test the in-app purchase process with the beta app.